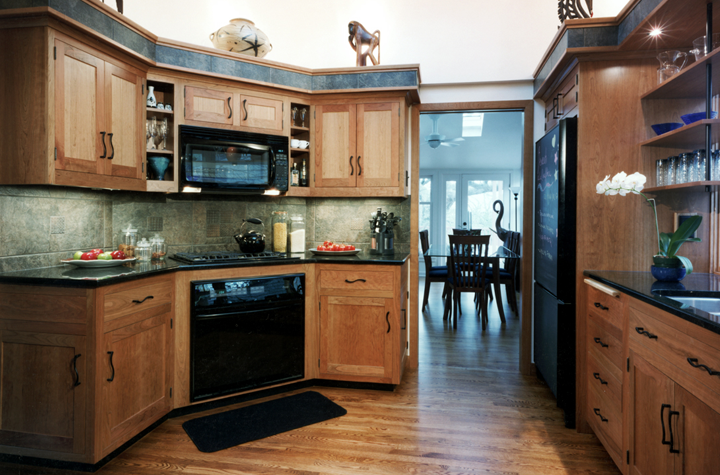 Custom woodworking and handmade cabinetry made this kitchen transformation truly beautiful. 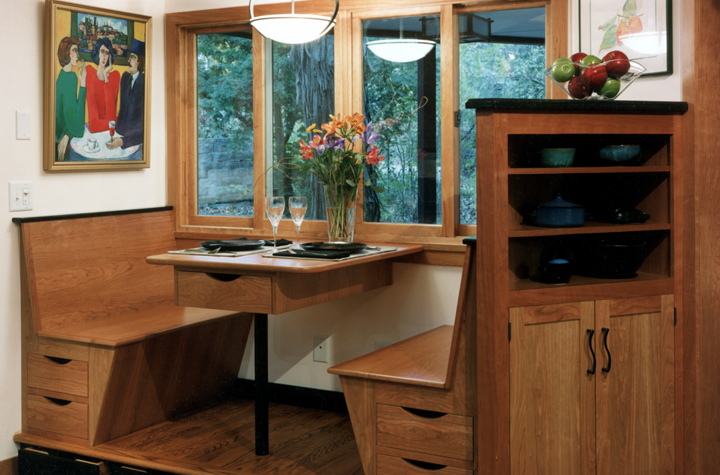 We repurposed space from the outdoor porch to make room for a cozy breakfast nook with large windows. A screen door open up to the porch for al fresco dining. 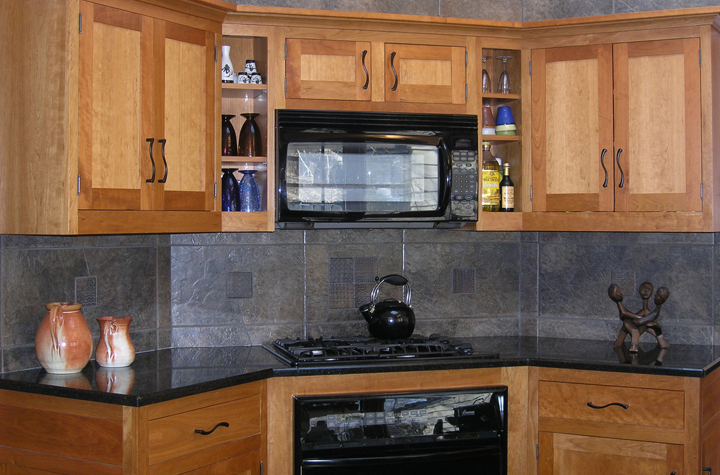 We framed the corner appliances with granite counters, a tile backsplash, handmade cabinets with shelving atop. 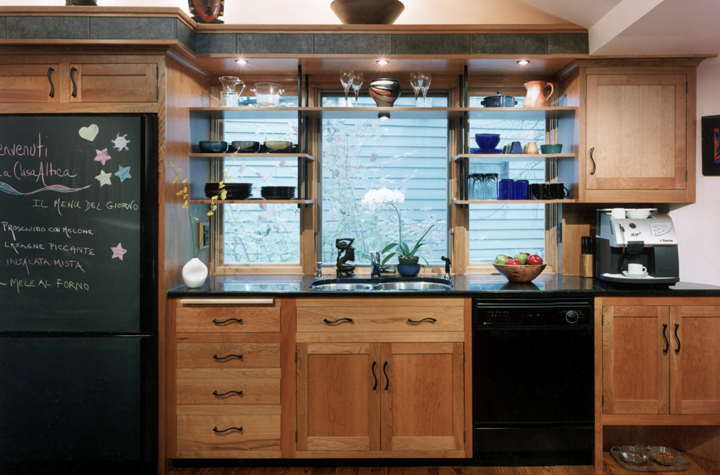 Our client wanted space, so the team engineered every available cubbyhole into storage — drawers beneath the nook benches, display shelving above the cabinets, shelving across the windows, and a cut-out tucked beneath a cabinet as an out-of-the-way spot for pet food dishes.